Hello! I'm a a graduate student in dogmatic theology from Chicago. I just wanted to leave a quick note and say that Cajetan was clearly wrong on the will as the locus of the capacity for God -Aquinas most definitely never taught this. Perhaps that has something to do with the reason why he is often and definitely eliminated as a 'go to' commentator. I am not crossing him out altogether, but to be wrong on such basic teaching is a huge problem. The fact that Cajetan was wrong on one point is not sufficient to scorn him. In approaching Cajetan (or Aquinas or any other classical commentator) one must understand that the classical commentator is not a 'historical scholar' of the contemporary sort. The classical commentator does not usually aim at sheer reproduction of the thought of the person whose text he is commenting, but rather, to go beyond it. Averroes, Albert, Aquinas, Bonaventure, Scotus, Cajetan, etc.... they all do this in their commentaries. A commentary for them is rather an opportunity to DEVELOP the doctrine that they're commenting on. If you approach them with a different outlook, you will turn them into really lousy commentators. The anti-traditional (anti-scholastic) attitude today among Thomists is much deeper than a mere disagreement with this or that doctrine in Cajetan. The same attitude is had against not only Cajetan, but Capreolus, Vittoria, Ferrarensis, Banez, John of St Thomas, Billuart, Billot, Garrigou-Lagrange, Ramirez, etc., etc. It is disdain for the entire tradition, especially for its methodology. In the minds of most Thomists today, Traditional (i.e., Scholastic) Thomism is out, and Existentialist or Analytical Thomism is in. Sadly. That's why we're here: to promote the tradition. What would you say is the tradition you wish to promote, in a few sentences? This is not meant to be a confrontational question in a negative sense - I am interested to hear what is the gist of Catholic theological work from your perspective. "Recognizing that we are far removed from the mind of Master Thomas, when a point of contention arises regarding his meaning, one must first and foremost seek its resolution in the consensus of the philosophers of the continuous line of Scholastic Thomists who are recognized as faithfully and intentionally adhering to Thomas’s doctrine. This line includes, but is not limited to, Herve de Nedellec, Thomas Sutton, Durandus of Aurillac, John Capreolus, Cajetan, Conrad Kollin, Sylvester de Ferraris, Francis of Vittoria, Dominic Soto, Melchior Cano, Peter de Soto, Dominic Banez, John of St. Thomas, the Salmanticenses, Vincent Gotti, Salvatore Roselli, Sanseverino, Charles Rene Billuart, Benedetto Lorenzelli, Edouard Hugon, Thomas Zigliara, H.D. Gardeil, Norbertus del Prado, Santiago Ramirez, and Garrigou-Lagrange. This line excludes those who explicitly or implicitly reject the principles, methods, or conclusions of the Scholastic Thomistic tradition and its continuous and organic development." For more on who these commentators are, see the new post "Who are the Traditional Thomists? PS. What the Society of Scholastics website says with regards to philosophy is equally applicable to theology. 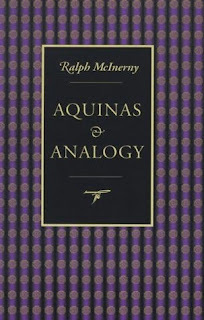 It is, in a sense, a defense of Cajetan's "interpretation" of "Aquinas's doctrine of analogy", but it in another sense it is an argument that Cajetan's treatise is not primarily intended as an interpretation of Aquinas -- that, in a manner consistent with Aquinas, he is actually tackling specific questions that Aquinas himself did not fully address. I'd be interested in a more updated review of this book. 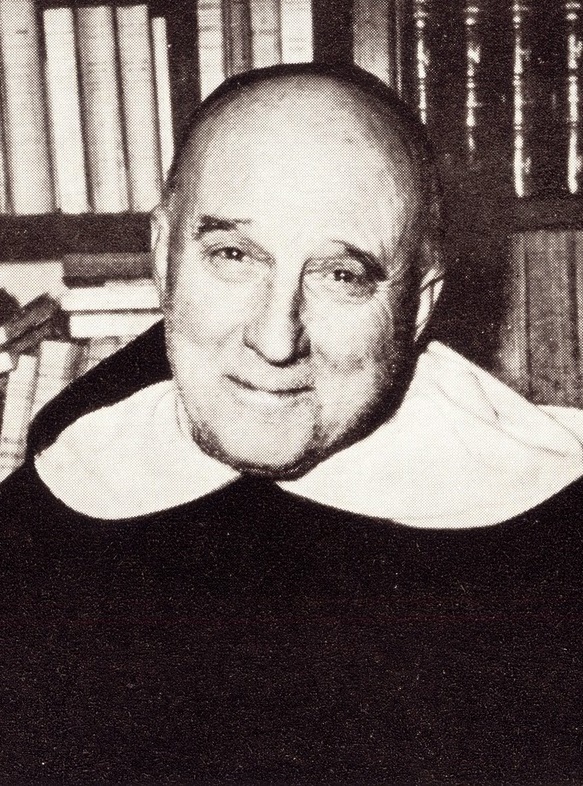 I've recently just studied analogy in Dr Austin Woodbury's Ontology (surely Garrigou's greatest student and possibly greater than Garrigou himself).